There are a few core reasons Defeating the Curse came to life. Three out of the four professional sports teams in the Washington DC area are good. Above average. For the most part, free of any drama. Hell….all their uniforms and color schemes match. However…they all face one very big hurdle; The second round of playoffs. For the Capitals it has always been at the hand of the Penguins. 9 out of 10 post seasons were ended by the Penguins. More importantly during the Ovechkin era. 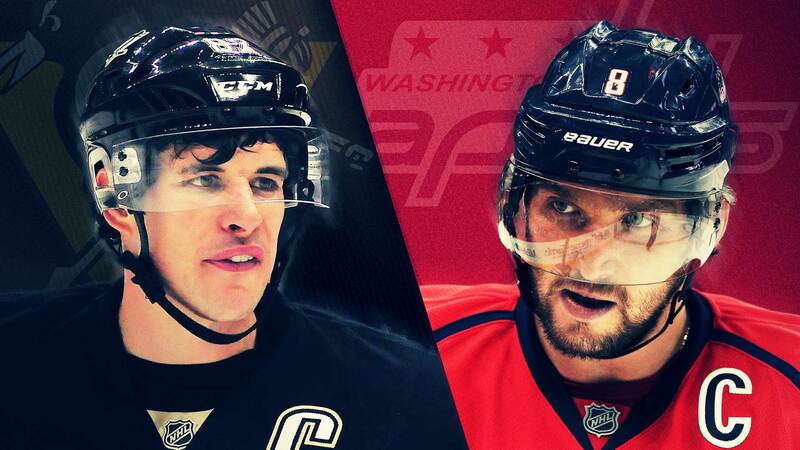 Sidney Crosby is the Lex Luther to Ovechkin’s Superman. The thorn in his side. One of the core reasons we created this damn site. 1) The Capitals cannot lose games at home. Game 1 is THE must win game. It sets the tone for the series. We lost against the Blue Jackets this year….we also did it last year…against the Pens. The difference this year? We get to face a Penguins team that looks a little worn down from their last series (thank you Flyers) and are playing without Evgeni Malkin and Carl Hagelin (again, thank you Flyers). 2) Control the power play and the penalties. Look this game is going to be chippy from the start. These two teams hate each other. Add in the fact that its the second round, and the Capitals are going to be tested. We all saw in the first round how the pointless penalties hurt us. They’ll kill us against the Penguins. They are the best team in the NHL during a power play. The emotions must be kept in check. The two times we beat the Pens this year, we didn’t give them a chance to capitalize on a Power Play. That needs to carry over in Round 2. 3) Ovechkin (and all the play makers) need to score. 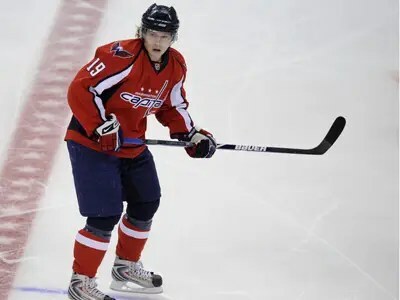 The knock is Ovechkin is amazing during the regular season and disappears in the playoffs. So far this year he has shown up, at least in round 1. Ovi had 5 goals in the first round. Sidney had 6. Our starters played great and got their shots, the Pens took even more. They have a deep roster. That deep roster is VERY good at scoring. Crosby, Malkin and Kessel are amazing players. Guentzel during the playoffs is basically a sorcerer who wills shots into the goal. We cannot let up on our shots on goal and keep pressuring. 4) Holtby….Or Grubauer? Obviously you stick with Holtby for the start of this series. He is proven in the playoffs. He saved us in round 1. Against the Pens however…he struggles. That’s the team that started his slump. They are the ones who can play head games with him from last year. Grubauer came in against the Pens, with the Metro Division on the line and played an amazing game. Don’t be surprised that if Holtby sturggles, another switch comes from Trotz. There you go…you all just read about the Capitals and none of your minds we’re blown. I said nothing that you didn’t already know. No special revelations were made. No keys to the game you didn’t already know. Win at home. Don’t make costly mistakes. Stars play like stars. Goalie stop puck. So what is the trick? How do you come into this series excited? How do you root your team on in a situation they’ve seen themselves in over and over and over again? I don’t have the answer. Nobody does. But damn it all if this isn’t gonna be one hell of a series and exciting to watch! May this finally be the year that Crosby forgets his skates and the Capitals beat the Pens! In what can only be labeled as a disappointment, the Wizards dropped game five in Toronto even though they had the lead half-way through the final frame. Wall had moments of brilliance and moments of frustration, Beal played better than he did in games one and two, but ultimately the Wizards couldn’t get points down the stretch settling for two many three pointers that just wouldn’t fall. The Wiz return to DC for a win-or-go-home game six on Friday night and Stevie, Joe, and Mina Canada break it ALL down. Winners, losers, adjustments, and predictions. Tune in and share! The Nats have played over twenty games and we have a sufficient sample size to evaluate the new rookie skipper. The Nats find themselves in an unfamiliar spot as they sit in 4th place in the division with only a better record than the Marlins. Everyone expected the division to be better, but no one expected the Mets to get off to a historic 12-2 start, or even the Phillies and Braves to be this competitive. 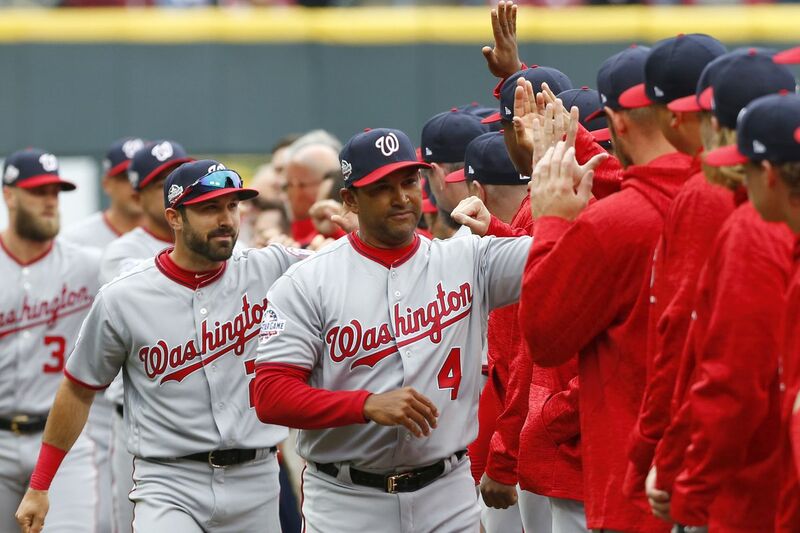 When a team like the Nationals – that is built to reach the World Series – starts off this bad, it’s easy to point the finger at the new skip but the story is much more complicated than that. Despite the rocky start, Davey Martinez deserves credit for seemingly changing the culture of this team overnight. Davey came in with the Joe Maddon school-of-thought and doing things differently, as evidenced by not only spring training but also the first few weeks of the season. We’ve seen the pitcher batting eighth on multiple occasions despite varied results. We’ve also seen Davey take two starters of the out of the lineup on the second day of the season to replace them with two hitters on the bench better suited for the pitching matchup, which resulted in two homers. Davey deserves credit for getting his bench guys involved early in the season so that they’re ready to step in when inevitable injuries hit. He is not afraid of doing things differently despite taking over an established winner. Injuries to 3 of your top five hitters is difficult for any manager to handle. Davey has adjusted to the early injuries by leveraging the Nats speed and playing a more small-ball style. When you’re struggling to string together hits, every base becomes even more important. The Nats are currently the most aggressive team in baseball with the most attempted steals per game, and they have only one team ahead of them in terms of successful steals per game. Trea Turner also leads the national league in steals. Davey has successfully reformulated this team in response to the loss of several of his best hitters. When it comes to the lineup we’ve seen tinkering here and there, but one constant has been Zimmerman in the cleanup spot despite his sluggish start. Zimmerman is currently hitting .174/.250/.400 with a WAR of 0. With numbers like that, the Nationals rank towards the bottom of the national league in terms of production from their cleanup spot. Despite this Davey has consistently supported his guy and Zimmerman rewarded him with two home runs and a triple against the Mets. Davey knows Zimmerman is critical to this team’s success, and has shown to stick with his guy even if the production is not there yet. Overall, Davey Martinez has done some good things with this team early but the team’s record continues to hold him back. He can’t be blamed for a slew of injuries but the rookie manager is done a solid of job of steadying the ship. Stevie, Reali, Mat (the Met), and Joe discuss the series that was between the Mets and Nats, the upcoming west coast road trip to face the Dodgers and Giants and the overall impact of the weather on baseball players… which Joe isn’t buying but Reali and Mat are selling (hard!). Stevie has taken an interest in James Comey and believes it isn’t time to panic, just readjust… many nuggets in this epsiode… listen and share!